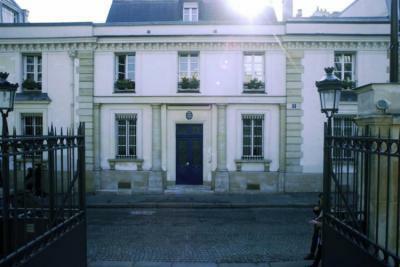 Paris – Hostels in Paris. Maps for Paris, Photos and Reviews for each hostel in Paris. Looking for a hostel in Paris? Look no further, all the good deals in Paris are on Dorms.com. Like thousands of other people every month, book your hostel securely at the best price in all neighbourhoods of Paris. 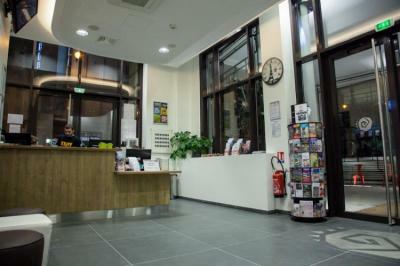 On this site, you can easily find a hostel downtown, in a trendy neighbourhood; a hostel in the student- university district, close to bus or train stations, airports or major attractions of Paris. 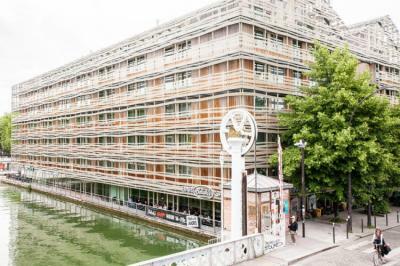 St Christopher's Inn Paris Canal is in close vicinity to Montmartre and only three stops away from the Gare du Nord Eurostar station. Pleasant neighborhood, especially the extreme proximity of the basin and the canal; serious security staff and very helpful; well maintained premises; courteous reception but sometimes dry when the length of the queue pushes to go fast; tendency to overheat the dormitories; common parts and tlinge own; material defects quickly repaired. I will not comment on the bar and the club, not being there. The staff is very welcoming and very open. The location of the hotel offers the occupants multiple activities and discoveries. Very satisfactory place both cleanliness level and equipment. Hostel very well placed and with a price within the reach of all. A warm and simple welcome. I will return for my stays in Paris. the location of the hostel just minutes from 3 subway lines (Cadet, Antwerp, Richelieu-Drouot), 3 min from the Sacré Coeur in the lively Barbès is top! a special nod to the hostess who is at the top. Very good value for money with breakfast included, cleanliness irreproachable even at the common sanitary. Only downside, but it is often the case in a busy establishment, the rooms are poorly soundproof and the comings and goings on the stairs are late and start early! provide earplugs. Very nice setting with staff who have always been listening. 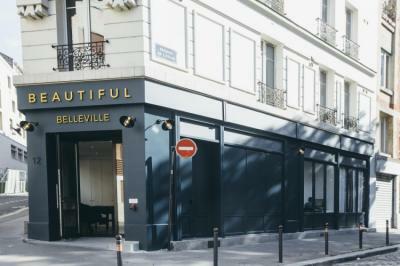 Location that suited me and allowed to discover the area of Montmartre. Proposal of very comfortable breakfast for staggered schedules, and comfort of the correct rooms. Home very warm, staff TOP SOURIANT, COMPREHENSIVE, APPLIQUE !!! a good atmosphere, an incomparable cleanliness, cassiers big enough, security guaranteed! In the center of Paris between Gare du Nord and Gare de l'Est you can reach all of them quickly! I can only recommend very strongly !!! I made a first booking for a whole week because I did not know exactly when I was going to have to stay in Paris, counting on the fact that I will be able to modify the booking later to stick to my real needs. Although I received a confirmation email from the site, ensuring that the change has been taken into account, arriving at the hostel I am told that I have no reservation and moreover that the hotel is complete! My reservation was simply canceled. So to avoid finding yourself in my embarrassment, it is better to be able to get in touch directly with the establishment in question. This youth hostel is better located than I thought. Being close to Gare du Nord and Gare de l'Est, it is very easy to use public transport. It is also possible to walk to the Louvre and the most touristic places of the city. It's a perfect place for young people in their twenties. The atmosphere is very friendly. The rooms are very modern with everything you need. There is no air conditioning and our fan was broken, so it was very hot in our room on the 6th floor. Clean hostel, but install plugs in the bathrooms and target your client so that it is not disturbed by the bar music and travelers who want to party (having to get up every day at 6am for my studies ). Finally, the obligation to speak English to understand most of the personelle which is rather surprising in Paris. 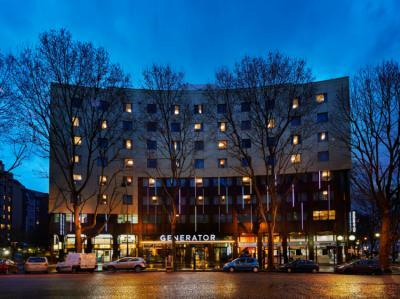 Only a fifteen minute walk from Gare du Nord train station, you won’t have any trouble getting to Generator Paris. The hostel is situated in the 10th district, adjacent to the canal and in close proximity to the Buttes-Chaumont Park . These are two of the most popular spots in the city; the canal playing host to picnics and drinks every evening and the park full every weekend with locals and tourists alike. Finally, with the Colonel Fabien metro just outside the door, you can travel easily. Everything went very well. Small downside however: soundproofing with the outside to review because very noisy! Clean and comfortable rooms but no atmosphere, no impression of being in France. We could be in Paris, New York or Santiago, it would be the same. A deco in Vegas and an American welcome staff who speaks directly to us in English. Some hardly speak French or lose their smile when they speak French. Although the clientele is international, welcoming people saying "hello" rather than "hi guys" seems normal in Paris ... Correct neighborhood, no more. The hostel has the advantage of having a metro station 2 steps which facilitates travel. The hostel itself is well placed, just in front of a metro mouth, there is an organic supermarket and a French supermarket just next door, you can walk to a cinema VF-VO (10-15min or a metro station), there are many restaurants within 10 min walk, BREF the location is very good. At the reception level we will go back. I had to wait several hours for my room to be ready (and it is not for much in the end, we must leave the rooms at 10am but the rooms are sometimes not ready before 15-16h to finally find a brothel in the room and having to make the bed is even ..?) The ladies of the reception laughed every time they told us that our rooms were still not ready, level compassion we will iron. In the end, the reception was rather bad. The rooms are good (room of 10 mixed), the floors of the rooms are very quiet, very good to sleep or just rest. The temperatures in the rooms are adjustable (AC) and very pleasant. The floors are rather clean (it also depends a lot of people in the room with you, some are very clean and discreet, others put the brothel everywhere in the room, etc.). The bathrooms seem to be cleaned often, however there is no ventilation in the bathrooms, the smell quickly becomes strong and the atmosphere unpleasant if we do not leave all the doors open (this also creates ENORMOUSLY MOLD which is easily bleached in all showers but apparently nobody cares). /! \ The beds are very comfortable, the quiet rooms, the blankets are very good, the beds are equipped with a single lamp, an individual plug, a shelf, a net pocket to hold your things, each bed is assigned a large box that can be secured with a padlock even very small. In front of the Colonel Fabien metro. Close to a lot of things. Easy access. Rooftop terrace with magnificent views. Smoking areas. Comfortable bistro on the ground floor. Rentable casies very cheap (3euros 6h for the largest locker, 4euros for 12h, easy to use). Laundry room of clothes. /! \ No workspace (desks or tables) or quiet space apart from the rooms (this can be boring if you want to work or relax in silence because there will always be some noisy people coming here to have fun around from you). It's good quality for the price. Close to Paris city centre. I recommend this hostel, I found a rat !!!! The 1st historical hostel of Paris, private parisian mansion house of the 18th century, offered by the Emperor Napoleon to the actress Mlle Mars, managed by the 1st non profit youth hostelling organisation in Paris, to get a cheap bed with simple and basic facilities on an amazing location, just between the vibrant shopping district of the National Opera House and Montmartre with Sacré-Coeur, Pigalle and Moulin Rouge a street closer to the hostel. Breakfast quite poor. The stackable berths should be for the youngest, and reserve the lowest for the elderly who must share a room. very welcome, rooms ok. access facility. Good establishment. The staff always ready to help you. This hostel is ideally placed to visit Paris, moreover, when you get there the entrance of high standing makes us believe in a chic and classy place ... Unfortunately after pushing the door of the sanitary and showers we quickly disillusioned. After opening the toilets of the ground floor (without light ...) we go upstairs to look for cleaner: nothing better to do with unhygienic toilets. And it's the same disappointment to take a shower: dirt unimaginable (while cleaning would be done twice a day depending on the hostel's reception) and a wooden door so gnawed and old that we wonder how this can be standard. Unfortunately unhealthy is the thing that will stay in the hostel despite an ideal situation and an attractive price. And you should also know that there are no secure lockers in the dormitories to leave our belongings and luggage is not locked. Very nice hostel. located near the station Saint Lazare, the casino of Paris and the Olympia. Staff very welcoming and very kind. Affordable price for a student. Perfect hostel for a person looking for a good value for money. The location is ideal because close to a metro stop but also close to Pigalle, Montmartre on foot ... On the other hand, the staff is very unwelcoming. It is noted that towels are provided but for that you have to buy them (5euros!). No locker system or other and the rooms are not closed. Note for travelers wishing to prepare to eat: impossible to cook since there is no kitchen or even microwave available. Everything is still ok especially for a short stay on a budget. Very welcome, common places very clean, good breakfast. Very happy with my stay!